Hungarian wine history dates back to the 13th century when the Romans brought the production of wine and cultivation of vines to Pannonia, the ancient Hungary. Winemaking has been prosperous ever since and the country has 22 wine regions. By the middle ages, the location was considered an excellent example of wine culture though historic battles caused serious damages to wine regions over the time. The 22 wine regions are usually assigned to seven larger territores such as Lake Balaton, Danube region, Eger, North-Transdanubia, Pannon, Sopron and Tokaj areas. The 22 different regions all have special characteristics regarding what kind of grape varieties can be grown and cultivated in the location how the soil is built up and many more. The Tokaj area is the most famous one for it gives home to the most popular and elegant wines namley the Aszú, the Furmint and the Hárslevelű. What’s more the entire region of Tokaj has been declared a UNESCO World Heritage Site and Historic Cultural Landscape emphasizing the high prestige of the land. Numerous grape varieties had been originated in the country, namely Hárslevelű, Irsai Olivér, Ezerjó and Cserszegi Fűszeres. 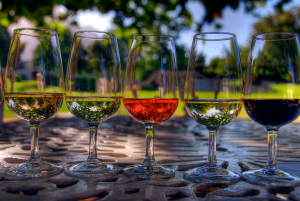 Wine tasting, wine tours and cellars play an important part in the country’s exceptional wine culture. The quality of Hungarian wines is well-known and recognised all over the globe and wine tourism is a flourishing business being just as important as prodution and consumption. Wine tours usually include a visit to the certain wine region, tours within the local cellars and of course tasting of the typical wine types. Wine tours may take a day or even a complete week to ensure participants gain an in-depth insight to the production and history, a lot of interesting information about about the region itself, the types of vines cultivated and the process of wine produtions from start to end. It is worth deciding for a couple of days-long tour to make time for everything there is to see, leand and taste. It also helps the attendants to feel the the ambience of the region. Therefore wine tours are good choice for all travellers: not only for wine lovers but for all who would like to relax in beautiful landscapes and obtain special ever-lasting memories. If you prefer to stay in the capital, or you have limited time to discover the country, a wide range of opportunities are available to visit the wine region of Buda. You can find plenty of wine cellars under the majestic Buda castle that have been properly reinstated to the original appearance and structure holding remarkable historic value and you can decide over walk and taste in Budapest to get some personal experience about food and wines in Hungary. No wonder that both locals and tourist goups from all over the world are interested in the country’s unique wine tours and many compenies offer different kinds of programs to discover the wine regions of Hungary. Private wine tours are for those who would better participate in a more intimate experience. Hungary is world-famous for many things: its thermal water spas, its unique cuisine, its breathtaking landscapes and very notably for the high quality and unique wines it produces. Hungarian wines always perform excellently in international wine competitions due to their high-quality and proficiency. When it comes to general popularity we have to mention Tokaji in the first place, mostly the Aszú and the Furmint variety, but types like Irsai Olivér or Cserszegi Fűszeres are also highly recognised worldwide.